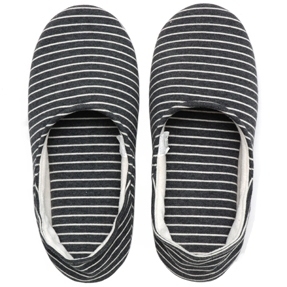 For a nation of slipper wearers, we must be incredibly ambivalent towards the item of footwear that it the slipper. That is to say, this is what I have concluded after taking stock of the frankly insulting offer of slipper wear out there. What an appalling choice. People, we must rally against this total disregard for the ability to choose both style, comfort and warmth. I am back on the slipper market after a 10 year absence. That's right, a decade. And that's because these faithful friends, pictured below, have finally given up the ghost. I had tried to sustain their life by inserting some leather insoles when the lining started to wear away, but now there's a hole in the sole and there's no saving them. Sigh. These slippers were a dream. For a start, they were 100% real suede. 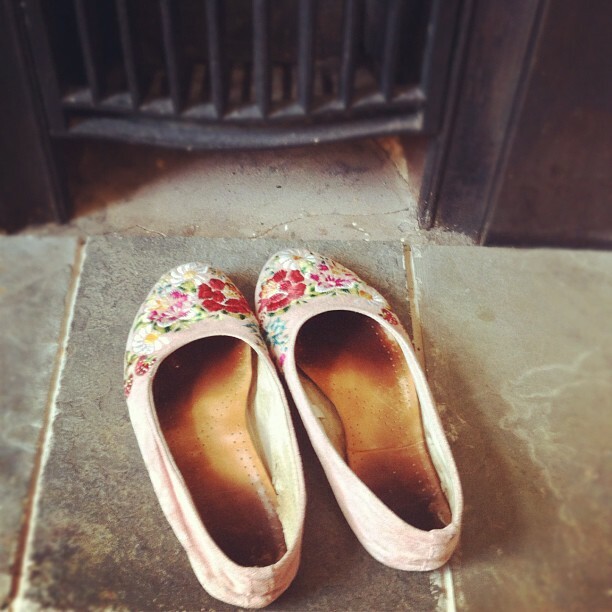 They weren't too hot or too cold, and they didn't feel too "slipperish", so they were good to wear with normal clothes and not just pyjamas. Perfect for when I'm "working from home". And, I can't remember the exact price, but it was something like £15 to £20. Pretty sweet. 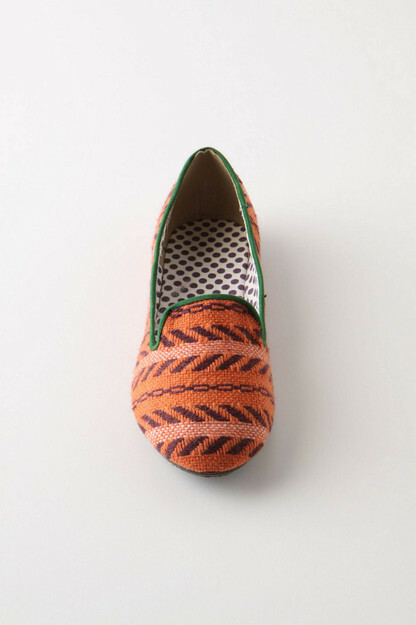 During some magazine catch-up reading the other day, I came across these slippers by Dream in Colour, sold by Anthropologie. I leapt up and logged on, but alas, they are already sold out. And that, friend, is because this is the best slipper in a whole world of slipper horror that's waiting for us out there. If you're feeling a bit down, google "slipper" and have a good old laugh at some of the tat that is on the market, masquerading as this noble shoe. Inuit Booties? Scotttie Dog Mules? Not for me thanks. And there's so much flammable faux-fur out there I'm worried for our firemen. It's not good enough. Anyway, I moved on. And here's what I came up with. 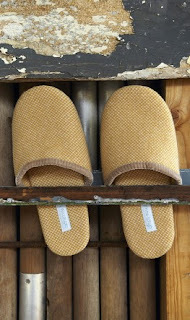 These slippers above are perhaps my favourite, but then for £59, you'd expect something pretty special. 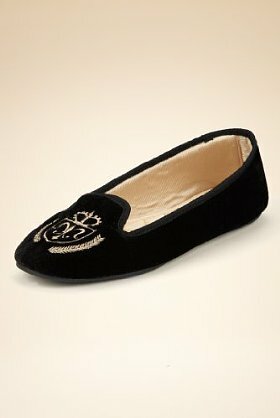 These are proper shoes, rather than slippers, but then I do like a slipper with a decent sole. And they are leather inside and out - living the dream. 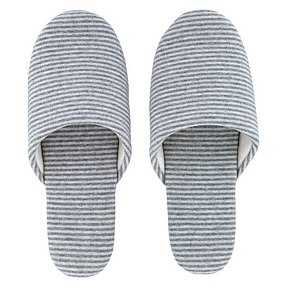 So, the last choice is a bit tongue in cheek - it's obviously not meant to be one bit fashionable, but it channels the trend for slipper chic shoes we've been seeing lately. The material is mysteriously described as "textile", so I fear that there's too much of my mortal enemy polyester in this shoe, but perhaps with the addition of a leather insole, this could be a good option. They're a good shape, have a proper sole on them, and look nicely nautical. I'm going to investigate.